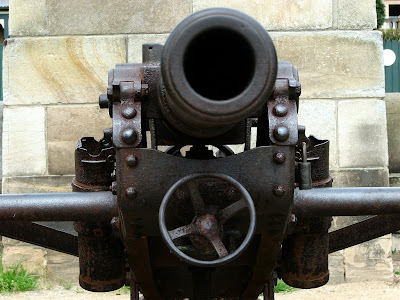 A canon used to protect Sydney strategically placed atop a hill at the Observatory. When I was there, a party of schoolchildren arrived and one little chap pointed at the canon and asked has teacher, "what's that?" Wouldn't it be nice if kids everywhere had to ask the same question whenever they see a gun.